Romeo Saganash is the Member of Parliament for the Quebec riding of Abitibi—Baie-James—Nunavik—Eeyou. A private member’s bill aimed at ensuring Canada’s laws are in harmony with the United Nations Declaration on the Rights of Indigenous Peoples has earned the approval of the House of Commons. 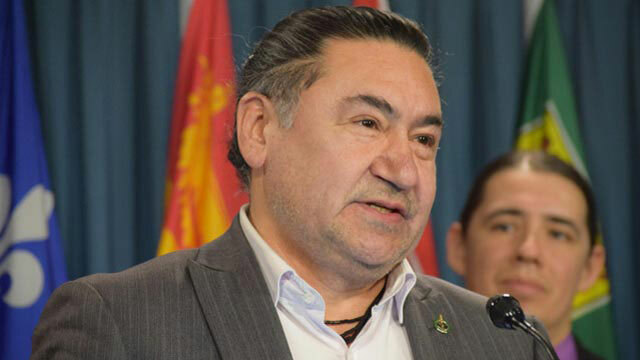 Bill C-262, introduced by New Democrat MP and reconciliation critic Romeo Saganash, won the support of MPs by a margin of 206 to 79 and is now en route to the Senate. Saganash was among the original architects of the UN declaration, which was adopted by the General Assembly in September 2007. Saganash says he believes his legislation is the most important bill Parliament has considered in a long time. He says Canadians believe it is now finally time to formally recognize that Indigenous rights are also human rights. Saganash, who spent 10 years in a residential school, says rather than spend his life being bitter about that forced experience, he set out to reconcile with the people who put him there – and he says his bill reflects that same spirit of reconciliation. Do you have the link of the said bill?